Some members of the 35th have been authorized to pursue additional interpretations for the regiment, outside the regular, established branches. We have decided to showcase them here. 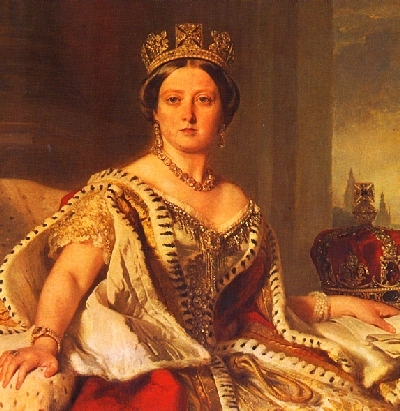 Until recently when she was surpassed by HM Queen Elizabeth II, Queen Victoria was the United Kingdom’s longest-reigning monarch. Her nine children with husband Prince Albert married into royal families all across Europe and shaped the modern world. Only eighteen when she became Queen and officially crowned a year later, her reign of 63 years saw much change, both to the UK and the entire globe. As such, this impression is to honor her legacy as a defining person in British history. This meticulously-researched impression, made entirely out of reproduction 1830s fabric, is meant to show her between her coronation in 1838 and her marriage in 1840. A soldier of the Royal Sussex Regiment serving in the Camel Corps during the Nile Expedition. 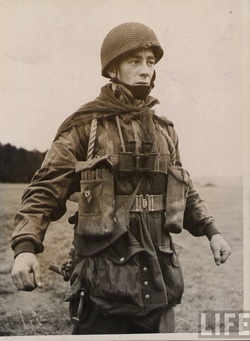 A private in the 10th Parachute Battalion, made up of men from the Royal Sussex Regiment in 1943.